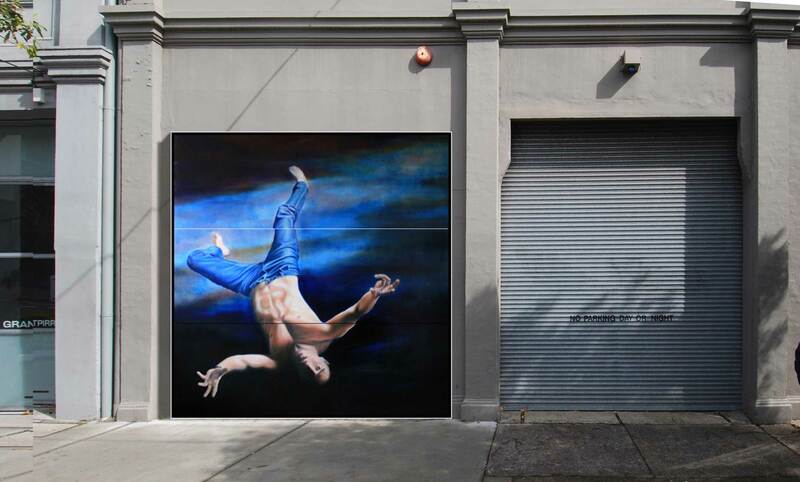 A well-know commercial art gallery in Redfern, Sydney considered adding a cafe to complement its activities. Visitors to the gallery can sit and relax with a coffee after a day around the galleries, as well as local residents being drawn to the gallery looking for good coffee. This symbiotic relationship is enhanced by the artistic treatment of the cafe facade. Three vertically sliding panels fill the entire street facade. A single print of the gallery’s artists is applied to all three panels. 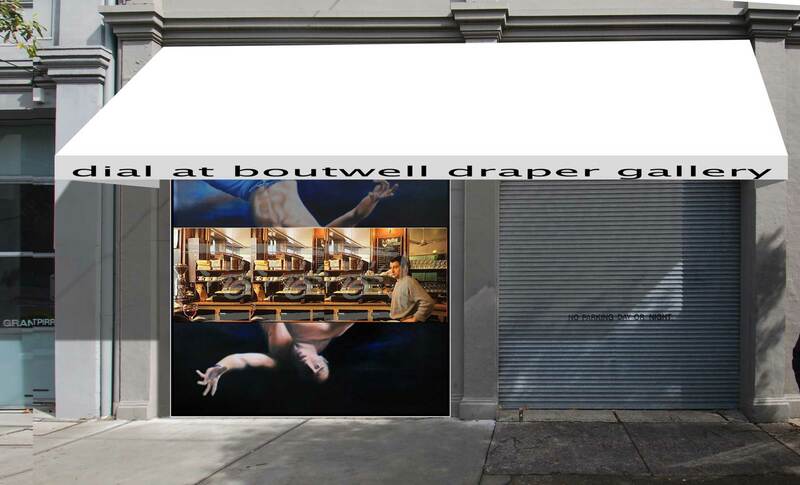 The image is changeable, allowing the cafe facade to announce the cycle of the gallery’s exhibitions. 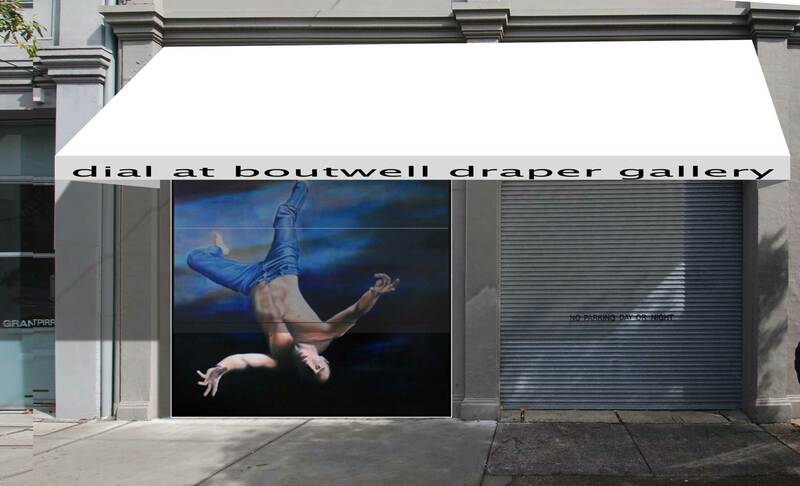 When the cafe is open the middle panel slides up to become a servery onto the street. 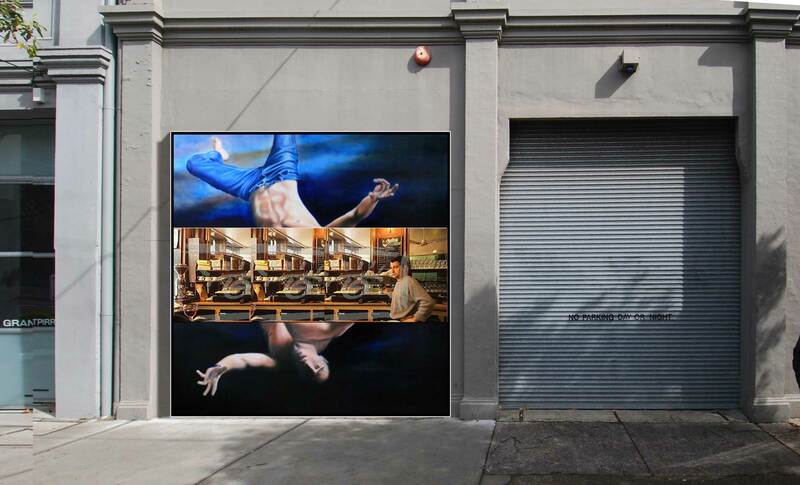 When the cafe is closed the facade displays an artwork, taking art to the streets.